Gary Neville and Jamie Carragher engaged in a spirited debate about Newcastle's situation ahead of their Friday Night Football clash with Leicester. Carragher: "It always feels up in the air with Newcastle, especially since Rafa Benitez has been there. With the ownership of Mike Ashley no-one really knows what's happening, is the club moving forward? They just seem happy to stay where they are and Rafa doesn't want Newcastle to just stay where they are. "When you're getting to this stage of the season and they're still not guaranteed safety... he wants to be in Leicester's position where they're the team outside the top six that really pushes the top six for European honours or maybe a League Cup win, the first trophy Newcastle might win for a long time. "Rafa wants to be that man and at this moment it's sad for Newcastle that Leicester are a better team, they spend more money when - no disrespect to Leicester, I know they won the title - but in terms of size you can't compare the two clubs but that's where Newcastle are at the moment. "I don't think it's a squad you ever look at and think they are going to go down, but is it a squad you look at and think can it attack teams in the top half? Last season they had a late rally but the questions during the season were about relegation and that should not be happening. "We should not be talking about Newcastle in terms of relegation. Newcastle should be what Leicester are at the moment, an exciting, young, vibrant team, hoping to challenge the teams in the top six and with a great season you might win a cup or challenge for European places. That's where Newcastle should be, but until the ownership changes that won't happen." Neville: "How long are we as pundits going to sit here, season in, season out, and say we shouldn't be talking like this about Newcastle? They are in the bottom half and are under-performing and we are reverting back to the mid 90s because it's still in our heads but those days are long gone." 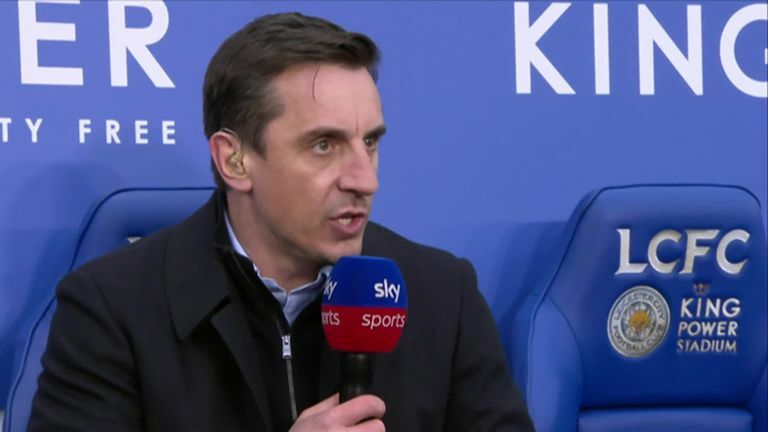 Carragher: "But in terms of the size and money generated in the Premier League, you can't argue they are not in the top 10 biggest teams in the country and if you are in the top 10 you should be showing that…"
Neville: "I don't dispute the size of the club, it's huge and the fanbase is incredible. The stadium is amazing and when I go up there I love it. But there are some big problems. The ownership is one of them but it's also attracting players to the North East of the calibre you need to attract, and it's not just the North East, it's Yorkshire, parts of the North West, players prefer to play in the south of England. 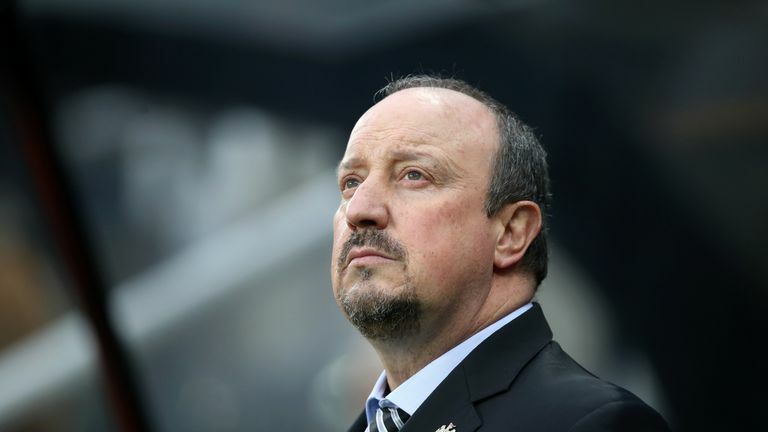 "There is going to have to be a distinctive model change for Newcastle to be successful and get back to where we think they should be in the future, which is challenging for the top six, being one of the biggest clubs in the country. They will have to do something completely different because players won't go there and live there for three, four, five years in masses." Carragher: "I never see Newcastle as one of the biggest clubs in the country, but I see them as a team that should always be in the top 10, always around that mark with Everton and West Ham. We don't talk about Everton nearly being relegated every season, this is happening year in, year out with Newcastle. They should not go down with the finances and the size of the club and the support they get in. it shouldn't be a team fighting relegation." Neville: "I think they are one of the biggest teams in the country." Carragher: "But do you see them getting into the top four?" Neville: "If you think of the investment that has gone into Manchester City and Chelsea, Newcastle have a far bigger fanbase than those clubs and bigger crowds. All they need is somebody to come in like they have done at Manchester City…"
Carragher: "You just said they need to change the model?" Neville: "Change the model or change the ownership. They are one of the biggest clubs in the country, the fanbase is incredible and they get bigger crowds than Manchester City and Chelsea."